Everyone has an idea of their dream house. Maybe it has an elaborate built in shelf for your trading cards. Maybe there is a slide to go downstairs. While these are both awesome, they might not be part of the next owners dreams. When you are ready to invest some money into the house, consider this list of renovations that have the best return on investment (ROI). You’ll see a trend throughout the list. There is a breaking point where an investment will start to cost more than you will get back. That’s why there are lots of items that are a “minor” remodel or update. These are that happy medium ground that still makes an updated room scream that its shiny and new, but it will cost you less in the long run. To replace tubs, tile and caulk in a bathroom might run a little over $1000 and you can expect a return rate of about 102% (at current market values). I’m 100% certain that when you walk up to someones front door, you take notice of their grass or the plants growing, if their siding is dirty or if their walk is swept. Everyone does. So when buyers are shopping for homes, you want their attention to be focused on your yard. You want it to yell at them and tell them to come check out the rest of your awesome home! DIY landscaping can be cheaper than paying a professional, but it can take longer and you might accidentally find the sprinklers with your shovel like I definitely didn’t do. There is no right answer when you decide if you want to pay a pro or be a weekend warrior. There is, however a good payoff for your investments when you sell your home, like 100%-good. If your home is like ours, the kitchen is the absolute heart of it. Maybe because we love food, but that is besides the point. Consider updating your dated appliances, cabinets from circa 1990 and the flooring. Tile is amazing, but even quality vinyl will really lift the rooms appeal. Most of our clients head straight for the kitchen to try and picture themselves slaving over the stove. You try it. Are yo able to picture plenty of work space and uncluttered counters? If not, think about pairing down some of the obstacles. The average ROI for kitchen remodeling is about 91%. Not quite as high as the other projects, but definitely one of the BIGGEST selling points. Just like the landscaping, a fresh coat of paint or updated shutters and fresh siding can really draw people in. And since you are taking the time to improve your home, do the things that will get you the most in the long run. Current market trends predict a ROI for exterior improvements at about 95%. And let’s be honest, that particle compressed siding the color of avocados… has to go. If you’re like us, on the first day of spring you’re still waiting for the snow to melt so you can get on with enjoying spring proper. We’ve provided for you, a quick home maintenance checklist of things to look over after a long winter. Fall loves to dump leaves all over your roof and winter likes to cement them in your gutters. In early spring the freezing and thawing can cause the watery leaf dam to expand and crack your gutters and down spouts. Keep this frost heaving in check by cleaning out leaves as soon as you can. If you didn’t catch it in time, the spring is a great time to inspect for damage and get it replaced. Remember, water that isn’t directed away from the house properly can permeate into your foundation causing loads of problems down the road. Chimneys stick out like a sore thumb on the top of your house. That means they’re especially vulnerable to the wind and inclement weather of North Idaho winters. There are some chimney features that really need to be inspected after a winter. Check for obvious problems like bricks that look out of place or… if it’s fallen down. That’s a good indicator of a problem. Check the flashing at the base of your chimney. That’s the thin sheet metal that keeps the water from puddling and directs it down the roof. Furthermore, a periodic cleaning of the inside bits will make it firstly, more efficient. And secondly, safe as heck. After a damp fall and winter your siding will most likely accumulate mold and mildew and dirt like its going out of style. You can easily fix this with a pressure washer. If you don’t own one, they cost maybe $30 to rent for a day. When you hose your house down, two magical things will happen. You will experience the oddly satisfying pleasure of pressure washing and your house will look brand new. Seriously. Some of the worst areas are under eaves and near downspouts. Any stains and mold in these places definitely indicate that there is a problem with how your gutters are handling roof water. Remember when we said that water can permeate into your foundation and cause problems? Ground water is no joke and can completely compromise your home’s structural integrity. Concrete is porous and readily holds water that water will cause the concrete to break down over time. If you live in areas that get cold, you also run the risk of frost heaving. Both of these scenarios will cause your foundation to crack, or your home to be unsettled and shift. The spring is your first opportunity to check your foundation for any problem areas. We recommend checking near downspouts and areas that tend to be waterlogged. As below, so above. Shingles, slate and other roofing materials are not indestructible. While you’re topside checking out the smokestack and gutters- give the roof a good look over. Look for out-of-place shingles, sagging spots or raised shingles. Water will get in any way it can. Your vigilance will keep your roof at the apex of its abilities. Additionally, check for moss or other organic material. Moss holds water like a pro and the last thing you want is water perched on your roof waiting to find a way in. We have tons of leafy beautiful deciduous trees in our yard. Every spring, without fail, we find clumps of leaves we missed before the snow fell. When the snow is gone go clean them up, debris that is left on turf for too long will suffocate and deprive grass of valuable sunlight. This is also a perfect opportunity to rake and fertilize your lawn and give it the best fighting chance of yard of the month (instead of those Smith’s who have won it for the last 5 years). This winter, we found tons of drafts and cold places throughout our house. This is not good. Remember, air is small and goes wherever it wants. Including your bathroom windows and under your front doors. You get the idea, and just think of all the dollars you are literally letting slip through the cracks. My dad always used to yell “Close the door! We’re not heating the neighborhood!” Turns out that if you don’t repair the seals and weather strips, you are- in fact, heating the neighborhood. Also. Bugs are small, they too come through the cracks. See paragraph above. Your furnace was crucial during the winter and fall. Your AC will probably be a close friend during the summer. Take care of your friend before its in the triple digits. There are some really easy preventative maintenance tasks that you can do, or if yo don’t feel confident- call an HVAC technician to service and inspect it. Some easy things you can do; Clean and/or replace your air filters, check hose connections for leaks, dust/blow off/ vacuum dirt from fans and electronics and check drip pans. Not too painful, right? Click here for a Printable Checklist! What do you think of when you hear the words St. Patrick’s Day? Likely the words green, beer, and parades come to mind. 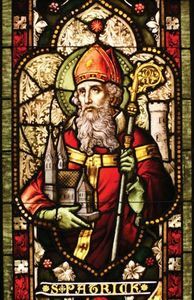 There’s actually a full history behind that holiday and St. Patrick himself, with lots of interesting facts. St. Patrick’s day celebrates Roman Catholic Patron Saint of Ireland, St. Patrick. He wasn’t born in Ireland, but rather Britain. When he was 16 he was taken captive to Ireland as a slave. He escaped and fled to a monastery in France. Years later he went back to Ireland to convert the Irish to Christianity. Although the religion had already taken hold in the country, he helped it become more widespread. By the time he died, he had created many monasteries, schools and churches. The day of his death, March 17th, has become what we know and celebrate today – St. Patrick’s Day. The celebration of St. Patrick’s Day started in Ireland. After the Irish immigrants moved to the United States, the celebration really took off with the parades and celebrations that we know today. Both the Irish and the non-Irish participate in the widespread holiday. The Shamrock was used by St. Patrick to explain the Trinity and is also Ireland’s national flower/emblem. Although the color green is now the common color of the holiday, it was not the original one. Blue was traditionally associated with the holiday. It switched because of Ireland’s nickname “The Emerald Isle”, the shamrock and the green in the Irish flag. Beer is the mostly widely consumed beverage on St. Patrick’s Day (Big Surprise! ), with Guinness being the most popular. According to a census in 2016, 32.3 million U.S. residence had Irish ancestry which is 7 times the population of Ireland. You have a 1 in 10,000 chance of finding a 4 leaf clover. 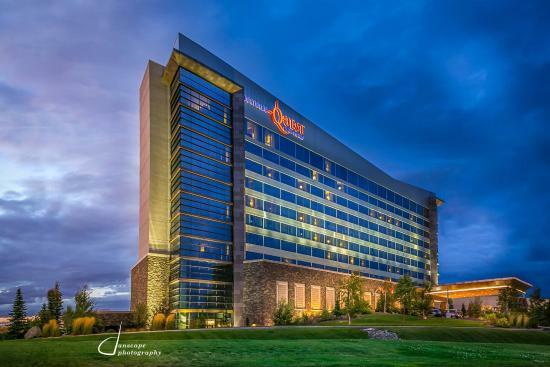 Coeur d’Irish Party– On March 16th at the Coeur d’Alene Resort from 5:00- 11:30. Featuring traditional Irish music and St. Patricks day Fare. Tax season is upon us! That means we not only need to file taxes by April 15th, but also to file for the homeowners exemption. If you’re not sure if you qualify or where to file, we are here to help! This exemption is provided by Idaho state law, for the purpose of reducing the taxable value of your home up to $100,00 or 50%, whichever is less. For example, if your home is worth $400,000, you may only pay tax on $300,000. As a result, this exemption will save you money and reduce you property taxes! A home owner can file the exemption if they are an Idaho resident and they occupy the home for more than 6 month out of the year (Primary Residence). It can only be filed on the primary residence, it can not be put on a second home or a rental. New Construction you must file within 30 days of purchasing the home. For Existing Homes, the deadline to file for the homeowners exemption is April 15th for THIS year’s exemptions. File one time per house. After you file, the exemption stays with the house until you sell the house. Then you will need to file it again on your next home. Idaho is a non disclosure state. That means you do not disclosure the purchase price of the home with the county or on any external sites like Zillow because it is not required. This is a good thing! If the county has the home assessed at a lower value than what you purchased it at, you will continue to be taxed at the lower rate. If you share the higher purchase price with them, they will start taxing you at that higher level. Below are a few other exemptions you can file on your property. Click on the links to learn more about how it works in Kootenai county. You would file each of the below exemptions the same way as a homeowners exemption, at the county’s assessor’s office where the land is located. Agricultural: This program will reduce the taxable value on agricultural land. Timber: This program will reduce the taxable value of the private land used to primarily harvest timber. Property Tax Reduction Program (Formally known as Circuit Breaker): This program reduces property taxes for individuals who meet age and income requirements. If you have any questions, concerns or confusion, never hesitate to contact us! 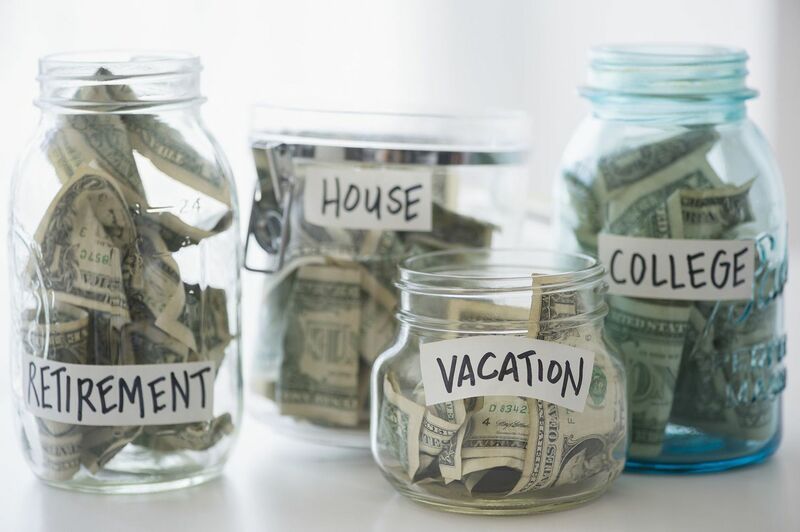 We are here to address any roadblocks you have and point you in the right direction so that you can save some money on your taxes. Check out our video below regarding important tax information for home owners. Also, subscribe to our YouTube page to keep up with all things real estate! Love is in the air and Valentine’s Day is just around the corner! What are you going to do for your sweetie this year? Whether you want to get them something special or do something special, there’s lots of options. We’re here to help make your day exceptional. This personalized gift is a great way to look back on your relationship. From the day you met, first date, got married, and the birth of your children. What better way to capture each and every moment as they happen? You can treasure those moments forever. Stick them on your fridge, in a photo album or scrapbook. Bring the spa to her! 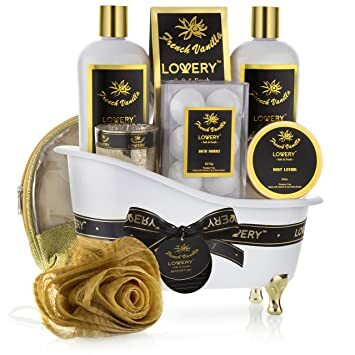 With several different scent options, you can treat your love from the comfort of their own home. Switch up the usual with this date night bucket list. Lots of creative date night ideas, both fun and intellectual. Avoid the dreaded “What do you want to do tonight?” question. Remember your special day in this unique way. Pick the best line from your vows and put them on display. Satisfy their sweet tooth with a twist. So gorgeous they’ll never want to eat it… if they can resist. When it comes right down to it, you know your love the best. This is an excuse to treat them… maybe spoil them with a spa day. Keep them grilling with a BBQ Set. Make them laugh with a silly mug. Keep them cozy with a new blanket & pillow or PJ set. Get them a little buzzed with their favorite wine. Keep things smelling fresh with a candle. Help them feel pretty with personalized jewelry. Even if it’s the classic flowers & chocolates, get them what they want. Want to take your sweetie out on the town? Beautiful Coeur d’Alene and the surrounding area is never short on events, even for the day of love. And also some great date night ideas you could do on Valentine’s Day or any other. Ice Skating at River Front Park in Spokane – Make an entire night of it and have dinner at an elegant restaurant downtown, catch a movie, go ice skating, and then stay at a nice hotel. Pinot’s Palette Date Night – You paint half a picture on a canvas and your partner paints the other half, making one giant gorgeous picture. Don’t forget the drinks. Ski/Snowboard Day – Enjoy the slopes at any one of the great resorts near us! There are tons of romantic restaurants in the Coeur d’Alene & Spokane area. 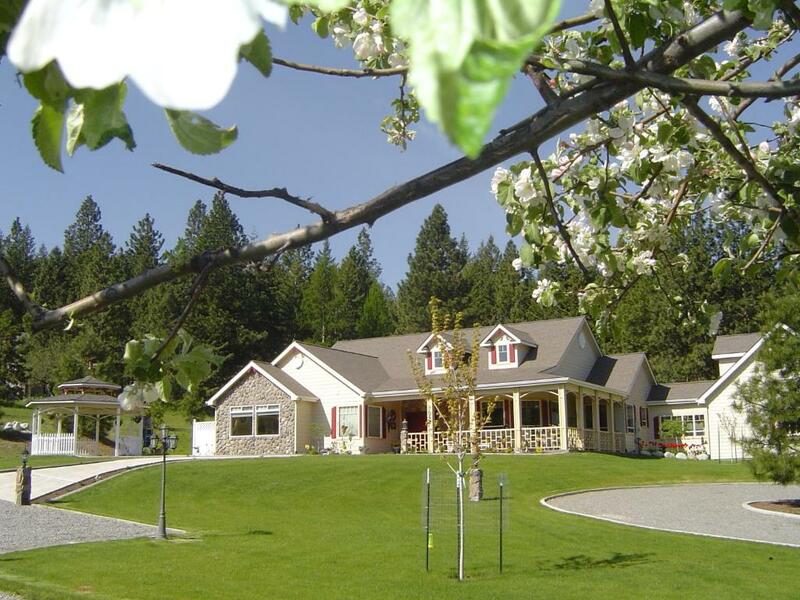 Click here for a great list in Coeur d’Alene! And here for a list in Spokane! A getaway with the one you love is needed every now and then. And what better time than Valentine’s Day? Celebrate your love together and enjoy a small vacation. You’ll still be close to home, yet in a world of your own. Located in gorgeous Sandpoint Idaho, this is a must stay. 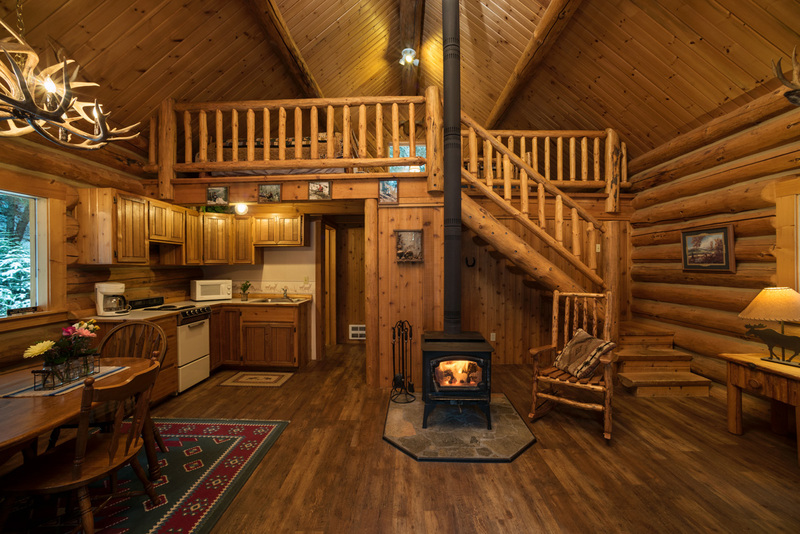 Visitors get to enjoy astounding views of the surrounding mountain ranges and beautifully constructed log cabins. Don’t forget the horseback riding, outdoor activities, and all the history that comes with it. The Blackwell Hotel is located in Downtown Coeur d’Alene. It’s full of elegance, history, and many unique touches. First built in 1904, it still has the original artwork. A very romantic place, a must see! 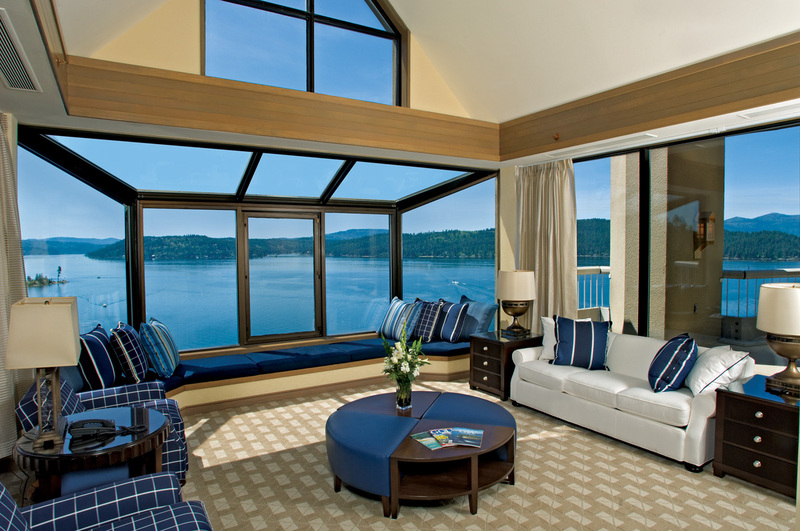 Located on the North Shore of Coeur d’Alene Lake, it’s become a top place to stay for visitors. At the resort you will never be bored with accommodations like golfing, spa, pool, restaurants, nightlife and more! Check out their lake front rooms today. This is a one of a kind experience! Dinner & a movie, then dessert & drinks after the credits roll. Don’t forget the gambling & luxury rooms to stay in. Everything you need in one place. 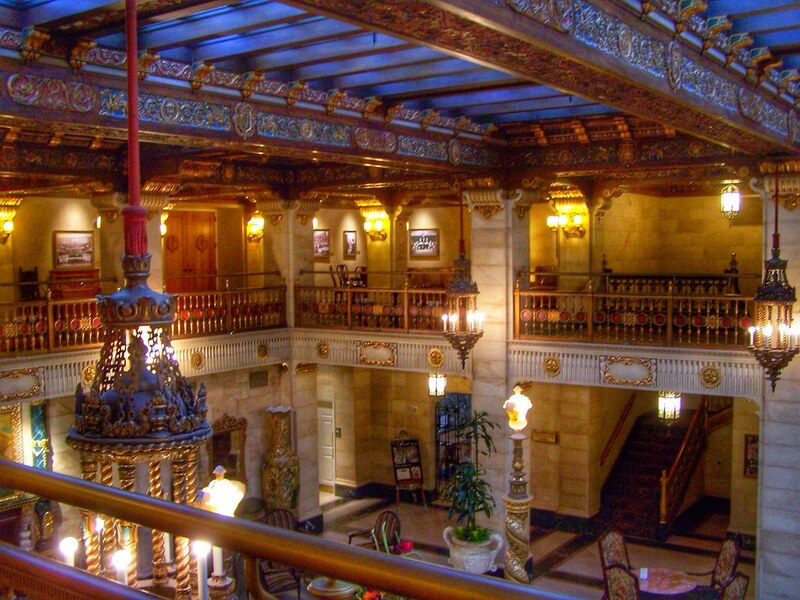 Located in Downtown Spokane, Historic Davenport Hotel is right in the center of everything. With gorgeous city views, a romantic design, a spa, and even jetted tubs and fireplaces in some rooms you’ll never want to leave! Great balance of modern amenities and a historic charm. This little bed & breakfast is located just 10 minutes from downtown. Close but away from all the crows. Very peaceful and quite location which makes it perfect for a romantic getaway. No matter how you choose to spend your Valentine’s Day, make it memorable and celebrate your love!! Aspire Community Theatre Ushers in Mamma Mia! Coeur d’Alene never ceases to amaze us. Not only do we get to enjoy the obvious beauty and all the lovely people who live here, but our Lake City offers so many other benefits! Like Theater!! But not just any Theater… Aspire Community Theatre. Aspire Community Theatre (ACT) is unlike any other. How, you may ask? To start, they are a completely non-profit run organization with experienced theatrical artists in charge. It’s a community theater, staffed 100% by volunteers, yet working at a professional level. As a result, you can count on exceptional and entertaining performances each and every time. Aspire was founded because many parents of children in theater were unable to find other options once their children graduated. Their only other option was acting at a professional level. Creating this theater was a way they could continue to learn and expand their acting abilities right here at home. Aspire is a conservatory theatre, which means, the students will learning through out each production because they are involved in each aspect of the production. Aspire incorporates a wide a wide range of groups and ages to keep things lively. Plus, they “not only develop artists, but theater enthusiasts through education and exposure”. Aspire’s mission “is to enrich, entertain and educate our community through exceptional live theater which inspires the imagination and provokes contemplation of truth. Our goal is to honor, reflect and collaborate with the greater community we serve, creating leaders for the future, as we form partnerships today.” And they do just that! Theater is a gift – for both the audience and artists and with 600 season ticket holders it seems like our community agrees. 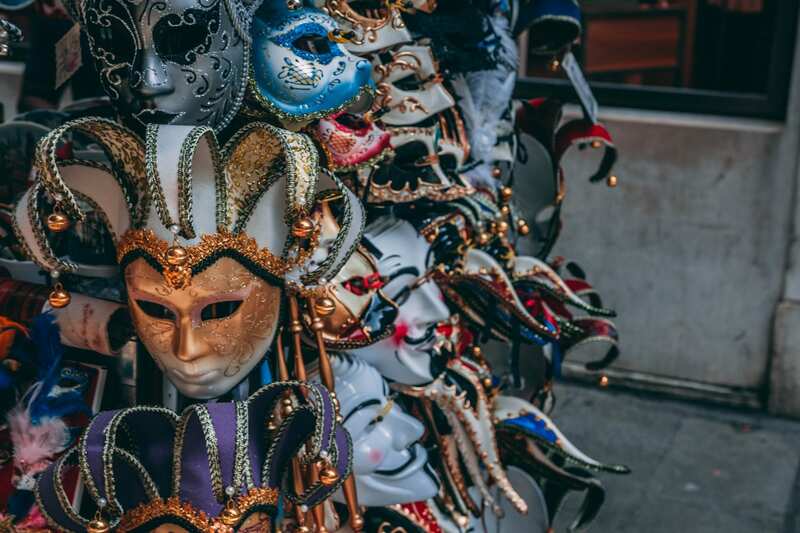 Bringing together experienced theatrical artists combined with young talent and community leaders; Aspire is determined to improve the lives of not only the artists and productions but this community. They provide a venue “For the next generation of characters”. Because of their local success, they are the only theater in the pacific northwest playing Mama Mia! First show is February 8th. “Our first Aspire experience was for “Catch Me If You Can”. We were intrigued when they said it would be a MUSICAL! We loved the movie and were so interested in seeing how it could be made as a musical. Aspire took that movie to a whole new level as a musical play. We loved it! Above all, it was so creative and a throughly enjoyable performance. We laughed and enjoyed every minute of it. Aspire offers a diverse and multi-faceted mixture of talent we have not seen in community theater. If you are looking for a great entertaining evening, go to a performance. Finally, Mamma Mia would make a wonderful treat for your Valentine! Contact us for special ticket discounts!! Coming to Aspire this February! Visit Aspire here! 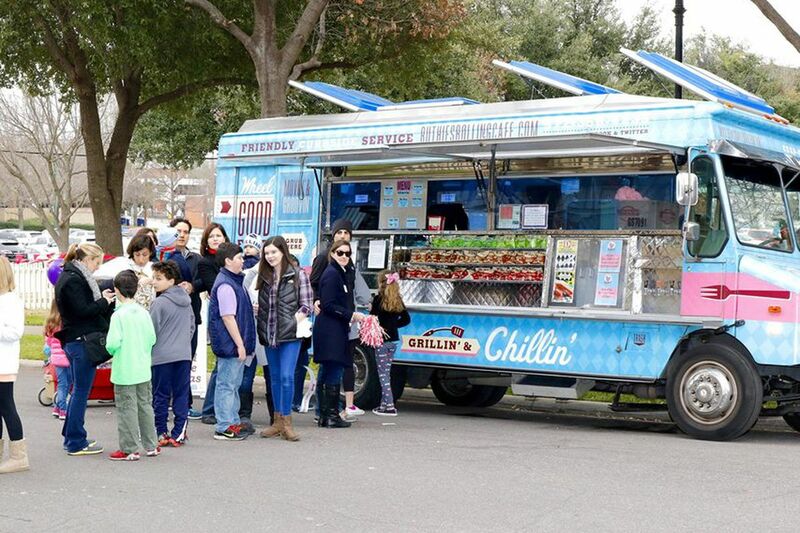 Check out the upcoming shows and learn organization, donate, sponsor and volunteer.